Obtain more control and power over the wireless network in your home. A DD-WRT-compatible router is one of the best options when it comes to enhancing security and customization. These devices allow you the freedom of open-source technology rather than the limits on a closed router platform. With the right technology you'll be able to get the most from the wireless connectivity for your network. There is a lot of flexibility offered by DD-WRT routers, including the ability to create VPN connections within your household due to OpenVPN features. Because of abilities like this, a growing amount of routers are made with DD-WRT technology. Consequently, you get a multitude of features within your network such as the ability to maximize the quality-of-service settings and pioritizing connections on your network. These features are provided by the DD-WRT firmware that comes installed on your hardware, which is also able to work with open-source Linux. Overall, these DD-WRT-compatible routers provide you with more flexibility, power and control. To help you navigate the options available on today's market, we're providing some details on our favorite picks when it comes to the top DD-WRT wireless routers. There are a number of aspects to pay attention to when shopping for any kind of router. These can include that maximum speeds that the device is capable of as well as the number of LAN ports it offers. Finally, the warranty will give you an idea of the kind of support you can expect from the manufacturer. If you don't mind paying a little bit of a higher price, many find the Asus AC5300 to be a perfect option when it comes to DD-WRT-compatible routers. This router is able to deliver a coverage area that is pretty decent, with a range of up to 5,000 square feet. Due to that kind of coverage, it's an ideal choice for larger homes. In addition, the AC5300 is able to expand the coverage even further thanks to the AiMesh feature. 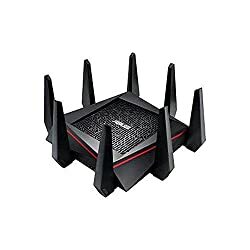 Due to this feature, you'll have no trouble connecting multiple Asus routers to get a greater range for the entire network. In addition, you'll have tri-band support and the ability to get maximum throughput speeds of up to 5.3Gbps. Furthermore, the AC5300 is a fantastic option for gamers. It offers some great features such as built-in assistance for the WTFast Gamers Private Network as well as the ability to provide some of the fastest speeds possible for game consoles. You'll also have access to the benefits offered by the MU-MIMO features on the Asus AC5300, which allows for a higher-quality overall connection for each device connecting to the network. This ability also assists with providing better speeds for older devices that may be slower. Using the AC5300, you'll be able to use “route-optimized services” which are great for allowing you the fastest connectivity and a stable connection for playing video games. This device is also made to offer maximized signal quality, thanks to the slew of antennas the AC5300 is built with. For those who prefer to hardwire their computers, this device is also made with four ports to allow for great conenctions. Overall, for those who value security, the Asus AC5300 offers AiProtection, which is designed by Trend Micro. This security company powers your device up with the ability to identify vulnerabilities after analyzing your network. Because of that, it's a great device for keeping your data safe from any potential hackers. While many find this to be a real powerhouse of a device, some can find that when problems arise, there can be difficulty getting a solid response from customer service. Settings are easy to customize. There can be some issues with customer service. It can sometimes cease working without apparent explanation. For those who are looking for the absolute top option, this is a great device to take a look into. 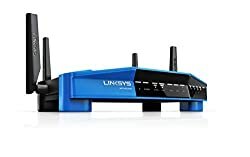 If you're looking for some excellent smart home features, the Linksys AC5400 presents itself as one of the top router options on today's market. This device is made to offer some great features, such as 5.3Gbps connections, tri-band support, and eight Gigabit ports. These features in more work to help you with getting the maximum speeds for your device while also working to expand your home network. Furthermore, the AC5400 is made with eight antennas, including six thicker ones on the sides and two thinner antennas placed on the back. When combined with the efforts of range extenders, the roaming feature guilt into this device is able to help to connect you automatically to the strongest signal available in just about any room. In addition, the MU-MIMO features make it easier to connect multiple devices at once, including smart home products. Alongside these advantages, you can also easily keep control of the setup thanks to the Linksys Smart Wi-Fi application available on the router. Using this feature, you'll be able to take a look at any tablet or smartphone that may be connecting to your network, allowing you to decide whether it's okay or needs to be booted off. Thanks to the great abilities on the AC5400, you'll be able to control the whole house! In addition, one of the coolest features on the AC5400 is that you'll be able to connect it to Amazon Alexa, which can then allow you to do things like switch on your lights, turn off or on speakers and more. That's really an advantage over some of the simpler router options out there. Finally, you'll also have access to a three-year warranty, ensuring that you'll have the support you need. Though this device does promise a lot of ability, it does come at a price that not all users are going to be able to easily afford. Allows for several connected devices. Capable of boosting speeds greatly. If you're looking for the whole package for your smart home, this is an ideal option. The AC1900 router is a fantastic option for those who are looking for a reliable, well-known brand that can also support DD-WRT. 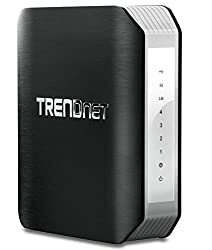 Many are familiar with the name TRENDnet and this device in particular is able to maintain a reduced power consumption when compared to previous models. This is a result of the GREENnet technology, which brings the consumption down by 50%, saving you a lot of power and therefore money spent on your electric bill. Furthermore, this device doesn't include the use of unsightly antennas, like you'd often find on some of the other tri-band models out there. This slew of antennas can sometimes disrupt the interior design of your home, but you won't need to worry about that with the TRENDnet AC1900. You'll also be able to get some fantastic speeds, made up of 600Mbps on the 802.11n and 1.3Gbps on the 802.11ac connections. While these speeds may not match those that you'd find on the higher-end options out there, the slightly slower speeds on this device are decent considering the AC1900's price tag. In addition, you'll have access to both a USB 2.0 port and USB 3.0 port that you can use for easily adding external storage as well as several Gigabit-compatible LAN ports for wired connections. You'll also have no trouble setting up guest networks, secure networks or storing sensitive files with the help of the AC1900. In addition, the AC1900 is a fantastic router that can provide parents a lot of control over the network thanks to the parental controls. The device offers solid speeds while allowing you to block dangerous websites, allowing kids to connect to the web safely. With this, those websites won't be able to load. That said, it's important to ensure they don't connect using networks that might not be protected. Overall, the AC1900 and the company that created it are both great devices that provide you with great speeds, as well as a large area to control to make sure younger internet users are perfectly safe. Some users can find that the device can run hot or that there can be issues with dropped connections. Capable of handling a lot of devices at once. There can be some problems with it dropping connections. For those who are shopping for something with a lower power consumption, this is an ideal solution. The Nighthawk X4S is more than a router, offering the ability to store information on a multitude of different storage devices as well as handling normal router functions. Netgear really knew what they were doing with this device, as it not only delivers speeds that are pretty decent, but also automatically backs up information to your chosen attached storage. As a result, you'll be able to trust that your important information is safe. In addition, the Nighthawk X4S is one of Netgear's most advanced router options, providing you with an eSATA port and 2 USB 3.0 ports. You'll also have access to the ReadyShare Vault app, which assists in backing up your information. Using this device, you'll also be able to get speeds that exceed 2.5Gbps. While you can get some fast speeds through the 802.11ac wireless networks, they come through two separate Wi-Fi bands, meaning the top speeds are likely to be a bit slower than tri-band options out there. That said, you'll still be able to maintain reliable PC connections with enough speed to handle Netflix and video games. Thanks to the Dynamic Quality of Service offered by the Nighthawk X4S, you'll be able to rely on the router to prioritize the bandwidth towards the programs that need it most. Due to that great QoS feature, the Nighthawk X4S is able to provide the best experience, especially towards latency-sensitive applications. While this is overall a great option, some users can find that one of the bands can cease working without apparent explanation. Backed by great customer service. Dynamic QoS may not be ideal for all PC games. In some cases, the bands can cease to work. If you're on the hunt for a reliable router, this is an ideal solution. If you're looking for the utmost in budget-friendly routing, the GL.iNet GL-MT300N is a fantastic option. 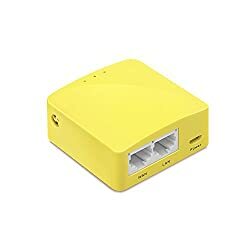 This mini travel router has the appearance of a yellow brick-like device, but is able to provide wireless connectivity just about anywhere. Whether you're in an airport, coffee shop or hotel, this little device is able to deliver a solid wireless connection. Furthermore, the GL.iNet GL-MT300N is one of the cheapest options available on the market today. You'll also find that there is 16GB of storage available for you to be able to store some of the important content you need while traveling. For those who need it, DD-WRT comes on the device pre-installed, making it a little easier to use. In addition, the GL.iNEt GL-MT300N is an especially small device, so you'll easily be able to throw it into your suitcase or bag without it taking up too much space. It is important to note that the device doesn't contain its own battery, but it's easily able to connect to a power bank or laptop in order to continue providing a wireless connection. Whether it's one of these, or some other component, it's able to siphon power rather easily while also converting the available networks to deliver connectivity efficiently. 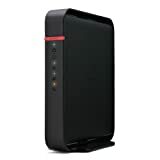 Overall, for those who are looking to gain access to TOR, OpenVPN and DD-WRT, the GL.iNet GL-MT300N device is the absolute cheapest way to go. Some users can find that the unit may reboot itself at random, without apparent cause. Wi-Fi speeds are not impressive. The device can reboot itself at random. For those who are looking for an extremely budget-friendly option, this is a great way to go. For those who prefer to use a mobile app to control their network from a smartphone, this WRT AC3200 Linksys router is an ideal choice. Using this device, you'll be able to receive reductions to the amount of lag you experience as well as a cleaner overall connection between your devices and the router. Furthermore, you'll have MU-MIMO support, which helps to keep the airspace from becoming too crowded with devices. In addition, the WRT3200 is able to provide some pretty decent speeds, reaching up to 2.6Gbps thanks to the Tri-Stream 160 technology. It also offers a variety of port options including LAN, USB and eSATA ports. That way, you'll be able to connect hardwired products as well as external storage to the rear of the device. Furthermore, the Dynamic Frequency Selection certification helps to avoid bad connectivity issues while sending signals in situations when they otherwise might not be able to. It is also designed to keep older products from slowing down the newer, faster hardware offered in the WRT3200. Thanks to all of this, the router will be able to sort out your connections with ease. You'll also be able to keep track of what and who may be connected to your network easily, right from your smartphone. This is all thanks to the Wi-Fi app, which allows you control over the network. Thanks to that, you'll be able to unclog the traffic right from the app pretty conveniently. It's a great way to connect and control from your handheld device. Overall, when compared to other wireless products, the WRT3200 has a lot to offer! While many users enjoy this device, some can find that there are issues with the device dropping connections, which are too frequent. There can be problems with connections dropping. Some users can experience internet freezes. For those who want something that works conveniently with mobile apps, this is the way to go. If you aren't looking for the absolute best wireless performance and speed, but just something simple and budget-friendly, the Buffalo AirStation N300 is a great way to go. Because it uses a single band, you'll get speeds of 300Mbps, which can be fine for households that don't engage in heavy internet usage. It's also a decent option for those who need something that can work as an extender for your network. Furthermore, the AirStation N300 accesses the 802.11n network, and it works well as a method of expanding the home network into a larger area. 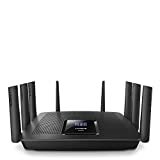 This feature is available through the wireless bridge mode, which effectively allows it to spread your wireless network coverage all around your home. It also features the ability to setup VLANS as well as make use of the 4 LAN ports on the device. In addition, the AirStation N300 is also able to offer a great deal of security in order to ensure that your data is kept safe. It also uses multi-level encryption and RADIUS authentication to offer your servers more wireless security. If you need it, you'll also be able to make use of a firewall on the AirStation N300. Overall, when you're looking for a very basic router or something that can expand your network, the Buffalo AirStation N300 is a fantastic option. It's a great device that offers many useful features and strives to keep your transferred data safe. It's truly an option that is worth a turn trying out! If you decide to try out this device, it's a good idea to make sure that the device works as soon as you get it, as some units can arrive in defective condition. Allows you to control the internet traffic. Can improved dropped or slow service. There can be some problems with getting replacement units from customer service. Some units can arrive defective. For those who just need to extend their regular network, this is a great option!